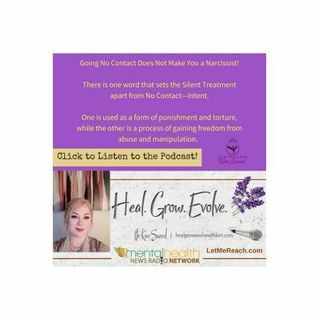 There are very distinct, fundamental differences between the Silent Treatment and going No Contact. One is used as a form of punishment and torture, while the other is a process of gaining freedom from abuse and manipulation. In this episode, Kim dissects the differences between the two so you can stop struggling with guilt and get on with the very important task of healing ... Más informaciones yourself and your life.